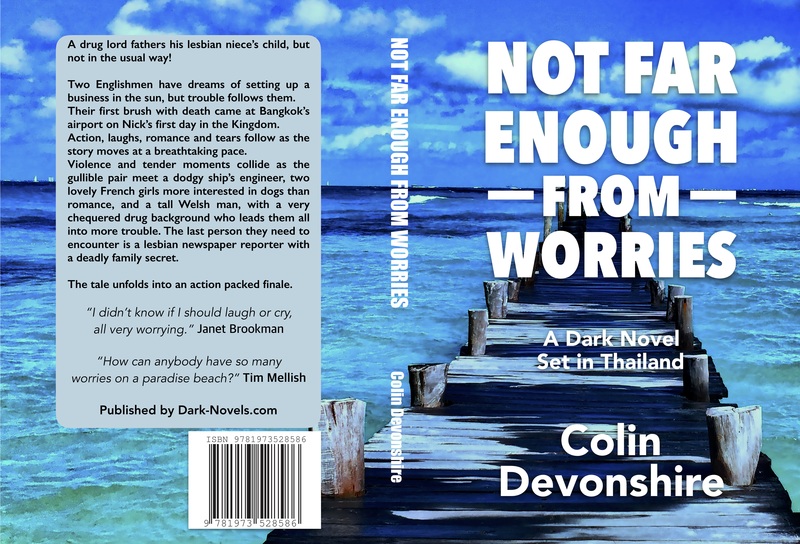 About Colin Devonshire – Thrills – Suspense – Horror! Colin was born in a little village in Buckinghamshire. The place was called Chalfont St Peter, anyone ever heard of it? Colin wearing his beloved Tottenham Hotspur shirt! On leaving school and pursuing a job in print and design, he worked in newspapers, including The Herald Tribune. Working in both London and High Wycombe he decided it was time for a change. And what a change it was, Thailand! He started The Hua Hin Observer, a lifestyle magazine. 20 years at the helm. In his free time, he always enjoyed sports, football, golf and cricket. His claim to fame and proudest sporting achievement was to play international cricket. He played for Thailand in Nepal! If moving to the other side of the world was a big step. Then suffering a stroke was a huge change in his life. No more sport – taking its place was writing, not newpaper columns, but thrillers. First up was ‘Not Far Enough From Worries’, at the same time was ‘Petal and Ben’s Adventures in Thailand’, a book written to encourage his children to read. 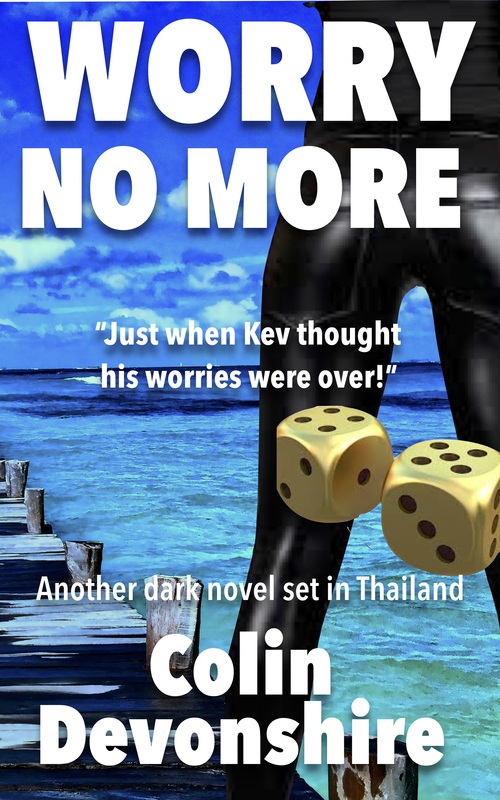 Then ‘Worry No More’ a sequel to the adult thriller. Published in 2018. A third in the ‘No Worries’ series in ‘Children With No Worries’ to be published in 2019.